(NaturalNews) The results of a 1980s human diabetes study are in. After conducting nearly 20 years of follow-up work, researchers in Finland have discovered new evidence showing how omega-3 fatty acids have the potential to help lower the risk of type 2 diabetes. The researchers, from the University of Eastern Finland, recently published their study in the journal Diabetes Care. With type 2 diabetes sweeping through the world, this new research is important. Being overweight has long been regarded as the most significant risk factor for type 2 diabetes. That can be brought on by excessive consumption of refined sugars and processed foods. It's obvious that bad lifestyle habits play an important role in the development of type 2 diabetes, but what about the good health habits that have been disregarded? Preventing disease isn't just about weight control and calorie counting. There is much more to disease prevention than weight loss and the avoidance of specific substances. There are powerful foods (not listed on the food pyramid) that restore and protect the cells of the human body. There are superfoods, like spirulina, that bless the body with high-density plant proteins and minerals. There are gut-benefiting, immune-supporting bacteria that come from fermented foods. There are phytonutrients and antioxidants in herbs and berries that exhibit extraordinary cellular protective powers. There are enzymes and essential fatty acids in food. These often unseen powers of food can be added to the human body to boost the natural disease-prevention powers of the immune system. These "health assurances" allow people to live worry-free and not be afraid of cancers and diseases like type 2 diabetes. Disease prevention starts not in medical tests and monthly health insurance payments but in the assurance of getting the right foods to work inside the body. While the introduction of dietary omega-3 fatty acids into the diet has been regarded as a controversial preventive measure for type 2 diabetes, as seen in conflicting studies, this study from Finland provides new evidence. In the Kuopio Ischemic Heart Disease Risk Factor Study, researchers measured the serum omega-3 fatty acid concentrations of 2,212 men in their 40s and 50s using serum PUFA (polyunsaturated fatty acids) and hair follicle tests as biomarkers. Also, a four-day food recording assessment was given along with self-administered questionnaires and oral glucose tolerance blood tests. Hospital registry data on diabetes medication and exams were reviewed. The study began in 1984. 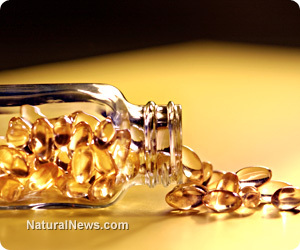 The researchers recorded the men's omega-3 concentrations for five years. Nineteen years later, the researchers assessed the data. In those 19 years, 422 men were diagnosed with type 2 diabetes. Throughout the study, the men were divided into four groups based on the amount of serum long-chain omega-3 fatty acids they were consuming. The men who consumed the highest concentrations of omega-3 fatty acids from fish or fish oils showed a 33 percent lower risk for developing type 2 diabetes, when compared to the group with the lowest consumption of beneficial fish oils. The researchers suggested that those men, who eat two fish meals per week, including a balanced diet, reduce their risk of becoming diabetic by 33 percent. Sources of fish rich in long-chain omega fatty acids include rainbow trout, bream, vendace, herring, sardine, mackerel, anchovy and salmon. What about the mercury content of fish? Due to environmental pollution, mercury emissions have infested water sources, and this pervasive heavy metal has moved throughout the aquatic food chain and is bioaccumulating in many species of fish that contain beneficial omega-3 fatty acids. Many consumers are now worried about consuming too much fish because of the toxic effects of mercury on the organs. One dietary solution that can help protect the cells from mercury damage is curcumin. Curcumin, the powerful active ingredient in turmeric, has been shown to protect against mercury exposure. Simultaneously adding turmeric and omega-3 fatty acids to one's diet may give synergistic results, including a cleansing, protecting effect coupled with the prevention of type 2 diabetes.